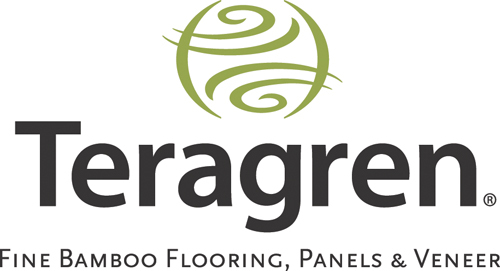 Teragren® develops and manufactures its own high-quality strand and traditional FloorScore®-certified bamboo flooring, SCS Indoor Advantage™ Gold-certified furniture-grade panels and veneer, as well as bamboo table tops/countertops. By working with a single factory group in China, we maintain industry-leading product, business and environmental standards from harvest to distribution. Exacting specifications honed over more than 15 years of manufacturing bamboo flooring result in beautiful, durable Teragren products that enhance your home and its environment. We use only Optimum 5.5® Moso bamboo harvested sustainably at maturity for durable, stable products. Our adhesives surpass stringent international and U.S. environmental standards, our finishes are water- based and solvent-free. Teragren’s factories are safe and efficient with 11 quality control inspection stations. In addition, Teragren FloorScore®-certified flooring products contribute to two U.S. Green Building Council LEED® credits, MR6 and EQ 4.3. Due to its patented manufacturing process, Synergy™ high-traffic strand bamboo flooring is 154% harder than red oak. Our Traditional bamboo flooring averages 25% harder than red oak and 12% harder than maple. Teragren products carry a Lifetime structural warranty and a 25-year residential/10-year heavy-use commercial finish warranty. Teragren flooring, panels and veneer complement classic to contemporary design styles. Our prefinished bamboo flooring includes Synergy™ high-traffic solid strip and floating strand bamboo flooring in Wheat, Chestnut, Java and Brindle;Signature Naturals, Craftsman II wide plank and Studio floating floor, in flat and vertical grains, natural and caramelized colors; and Signature Colors, stained Espresso, Cherry, Walnut or Charcoal. Matching accessories, stair parts, trim and floor vents for the finishing touch. Teragren furniture-grade bamboo panels and countertops come in natural and caramelized colors.